Lock in a great price for Pension Gina – rated 8.6 by recent guests! First of all, I’ve paid 30€ a night. So my review and score are based on that in mind. I’ve stayed in a single room with a common area and kitchen. I liked the fact that a kitchen, stove, and fridge was available. In terms of quality, it's more hostel-like when a hotel. Personally, for that stay, I preferred that location. The owner was very friendly and keen to introduce us to the city. Also, we were pleasantly surprised with the room - it was spacious, well equipped and comfortable. The bathroom was great! Friendly staff, no problem with us being 2 hours late for check in. The room is rather small, but clean. 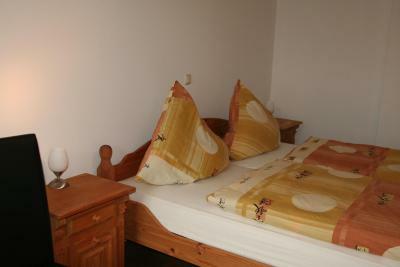 The pension is located almost in the city center and there is a parking lot available in the backyard. Great value for money. Large, clean and well appointed Apartment. Even supplied kitchen and household staples like tea, coffee, bathroom and house products. Peter even picked us up from the railway station. Would highly recommend. You need to call the owner upon arrival to get the keys, but apart from that everything is superbe. The room was big, good bed, nice bathroom and all. 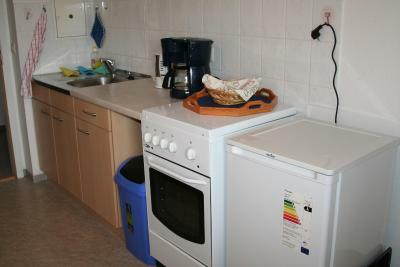 Kitchen on the floor, for general use, all clean and with oven, stove, micro, kettle, coffee machine, dishes. What else? 2 minutes away from Görlitz historical centre, rather easy to find by car, if you check google first or use a navigator because Görlitz is full of one-ways. I'll go back again next time I'm there, and for a longer time. Oh. And they take only cash. FYI. Wifi connection also works in the room, pleasantly furnished room. Location, Location, Location. The rooms are spacious albeit very basic. There is a little Kitchen which served us well. The small shower was surprisingly nice. The price is the biggest advantage of this pension. For this price don't expect too much comfort. It is a very frugal, simplistic setup, at a very modest price (30€ a night). As such it should earn the highest score - 10 - which I have given it. 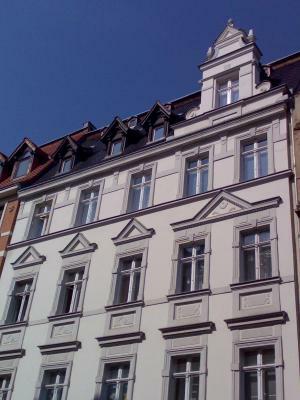 The accommodation has everything you need: a bed, bathroom, a desk to work at, coffee in the kitchen, and a location not too far from the Altstadt. The room even has WiFi even though the WiFi was listed as only accessible in common areas. 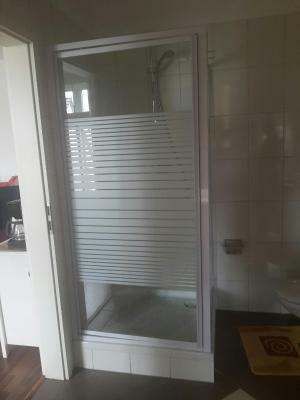 Good value for money, size of the apartment, and friendly host. 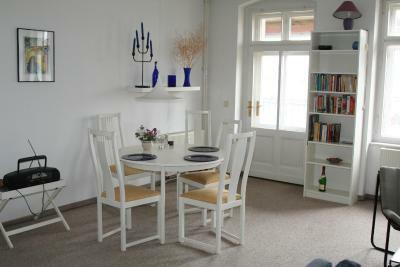 This guest house is located near Görlitz town center, a 12-minute walk from Görlitz Train Station. 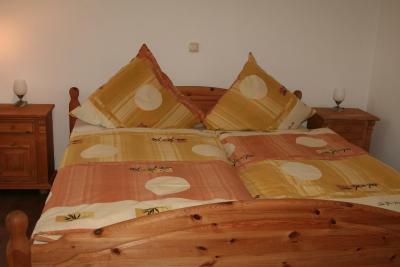 Pension Gina offers cozy rooms with bright wooden furniture and a flat-screen TV. All rooms at Pension Gina Görlitz also include a desk and a private bathroom with shower. Some rooms have a kitchenette or a balcony. Guests enjoy free use of the common kitchen with its electric cooker, refrigerator, microwave, coffee machine and toaster. 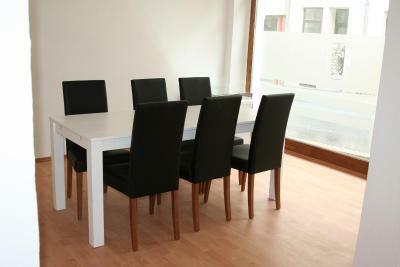 There is also a common room featuring a TV, comfortable seating and a dining area. 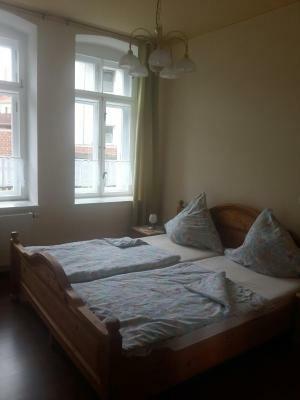 Pension Gina is an 8-minute walk from the Silesian Museum. 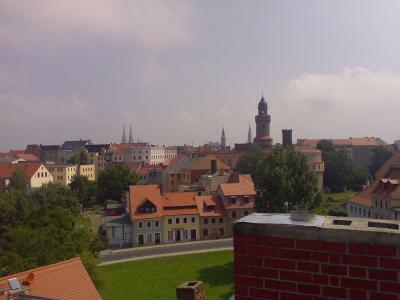 It is a 20-minute walk from the River Neiße and the Polish town of Zgorzelec. On-site parking is available for a small additional charge. The A4 motorway is 1.9 mi away. This is our guests' favorite part of Görlitz, according to independent reviews. 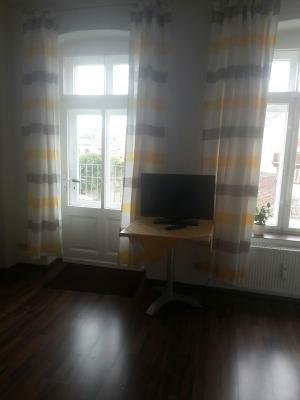 This property is also rated for the best value in Görlitz! Guests are getting more for their money when compared to other properties in this city. 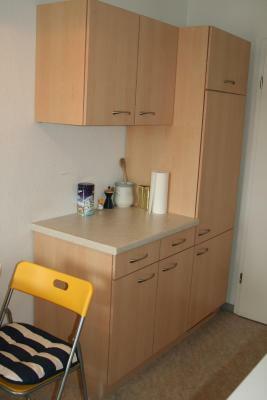 뀐 Located in the top-rated area in Görlitz, this property has an excellent location score of 9.0! When would you like to stay at Pension Gina? Bright room with a flat-screen TV and private bathroom. Bright room with a flat-screen TV and private bathroom. 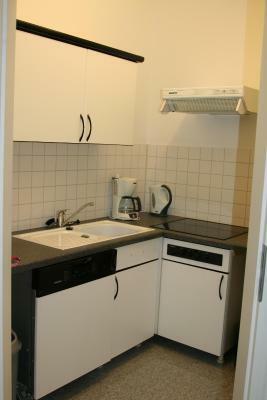 Also includes a kitchenette. 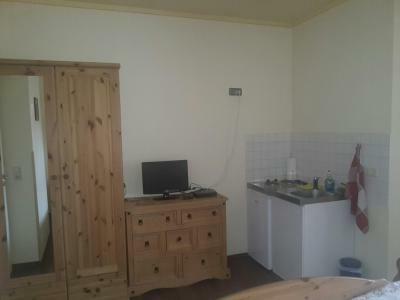 This room features a kitchen. House Rules Pension Gina takes special requests – add in the next step! Guests should contact the hotel in advance to confirm their arrival time. Contact details can be found in the booking confirmation email. There was no useable breakfast info on booking.com. After you've booked, the owner expected you to contact him to set a date to hand out the keys. Unfortunately, in the mobile App it’s not mentioned in the hotel policy section and rather hidden. Its say check-in between 2 pm and 8 pm. So I didn’t get contact the property. However, neither the owner. A simple mail or a call would be helpful. What I didn’t like about my stay was the fact that everything felt a little bit run down. The towels were old, bed sheets had holes, the heater in the bathroom didn’t work and the windows are apparently as old as the building itself. Due to the windows, during the night it got pretty cold. The WiFi wasn’t always stable. The room, in general, was basic and not very cozy. The walls are thin and I could hear my neighbor snoring. Lack of allocated parking spot. I've booked two bedrooms for us to stay in this place and when we got there after a tiring journey we had to realise that there is only one room available! I had to sleep on a spare bed!?? And if this not enough the owner of the property though that we are thieves!!!??? We have just arrived and didn't have any of their currency with us as this city is the border, so we thought we are going to draw some money out from a cash machine while we have our dinner as we usually do pay in every hotel we stay in the morning before we're leaving the property! Anyway I won't recommend this place at all! Basic one room accommodation but curtain was not blockin the light in the morning. It's an old building with a specific old smell. I didn't feel comfortable, but for 1 night it was tolerable, at least I didn't pay too much. The bed in room #1 was with 2 mattresses, one of which was terribly sagging. So 1 person had to sleep in a big hole! The location is OK, but not too close to the old part of the town (about 15 minutes walk), the same to the railway station. No restaurants, bars nearby. The surrounding streets seem so empty and abandoned so I felt weird. 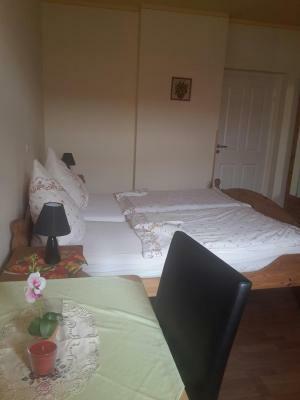 The owner is not living in this pension, so you have to call him 30 minutes before you arrive and he speaks only German. If you want high comfort and the best location, this place should probably be rated at 5-6. The blankets were thin for the still cold springtime (0 degrees) - but more blankets could be found in the closet. The desk was a fold-out thing because there is not much room. The WiFi works, but it is not at a very great speed. The bathroom is rather cramped. And there is only coffee in the box for 2-3 cups. And you have to walk 5-600 meters to reach the Altstadt and the center. But again: given the price it all works nicely!